John Cena is a big boy. And he obviously deserves a spot at SHJ. Oh, and I can easily say he’s been one of the most requested celebs in the last few months! If you didn’t know, he is a WWE Superstar, but he is also making waves in the movie roles he’s in, which are getting larger each time. 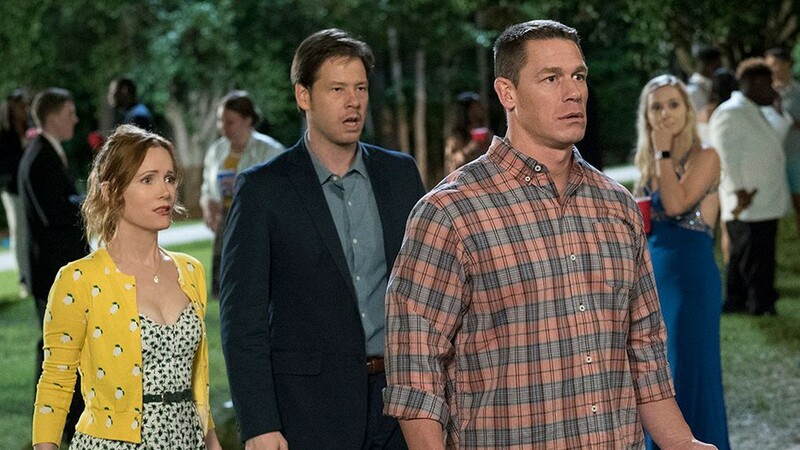 The first movie role I saw him in was Daddy’s Home with Mark Wahlberg and Will Ferrell, but his recent performance and air time in Blockers was awesome! I’m excited to see more. John Cena is technically slightly below average among the male celebs we’ve seen at SHJ. I say that because John Cena nearly falls in range with Josh Brolin (okay he has a couple inches on him), and we all know how that turned out. He has other guys around his height like Brad Pitt, Matt Damon and Jason Statham, but the ACTUAL shorter range is filled with guys like Mark Wahlberg, Zac Efron, Kit Harington, Tom Holland and more. The average height falls in the range of 6’1-6’3 (he missed it by one inch) with celebs like Chris Pratt, Chris Hemsworth, Hugh Jackman, Chris Evans, Adam Driver, Stephen Amell, Clive Standen and so many more. Even taller than them are guys like The Mountain, Dwayne Johnson, Joe Manganiello, Ben Affleck, Jason Momoa, Ray Fisher, Winston Duke, Alexander Skarsgard and a few others. 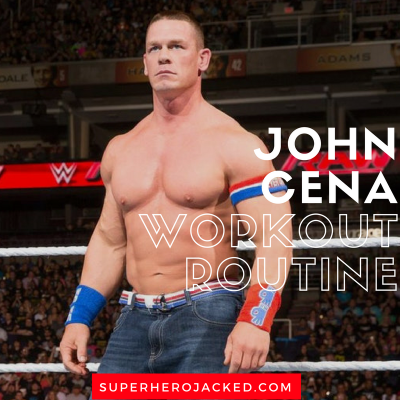 As you’d imagine, the majority of articles about John Cena’s routine and diet cover his workout much more than his nutrition. And I say that because have you seen how freakin’ jacked this dude is? 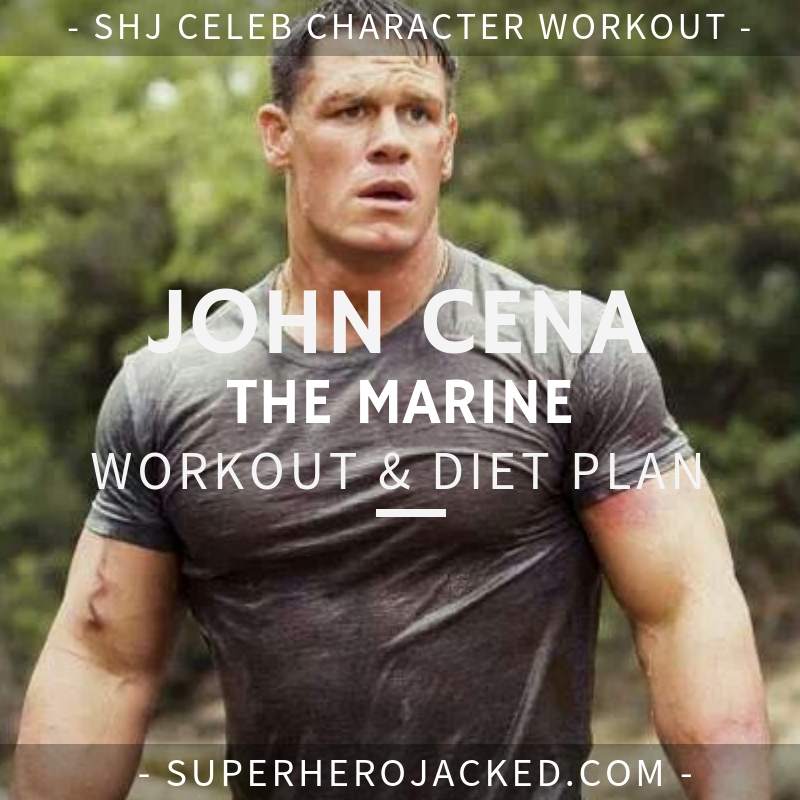 Don’t get too worried, I’m not only going to give you some information regarding where to search SHJ for more information on dieting, but I’m also sharing a full meal plan that Muscle and Strength put together with John Cena. 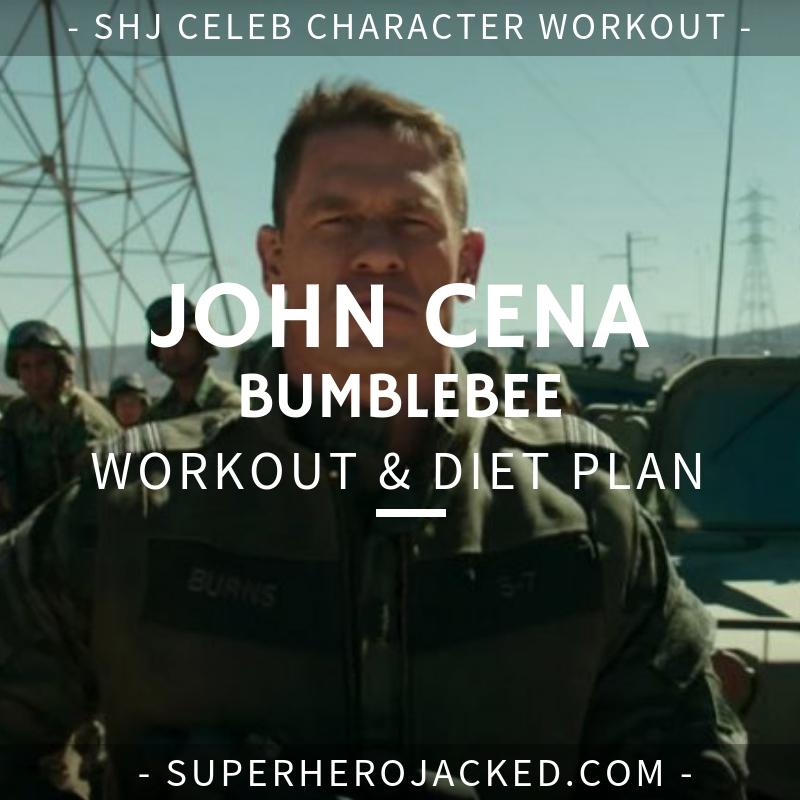 The following is a typical John Cena muscle building eating plan. Meal 1 – Oatmeal with applesauce and raisins, 2 whole eggs and 6 egg whites. Meal 2 – Protein bar. Meal 3 – Brown rice with vegetables, and 2 chicken breasts. Meal 4 – Whole wheat pita bread with tuna. Meal 5 – Banana and a whey protein shake. Meal 6 – Pasta or brown rice, vegetables, salad with chicken or fish. Meal 7 – Low fat cottage cheese along with a casein protein shake. Okay, before I say anything else I will point out that this is a lot of food. If most people are eating this it’s going to be for bulking because John Cena is a big man. 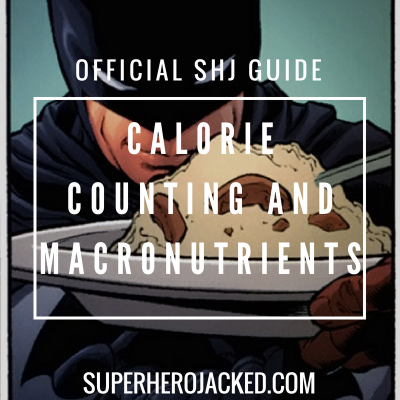 You’re likely going to want to make yourself aware of calorie counting rules, and like we follow in our Superhero Programs, the specific caloric intake needed for either bulking or cutting. You can also check out our Nutrition Pillars and learn about things like intermittent fasting (which is something I use everyday) like we’ve seen guys like Hugh Jackman and Terry Crews take advantage of. The main thing you need to focus on is finding a sustainable diet. 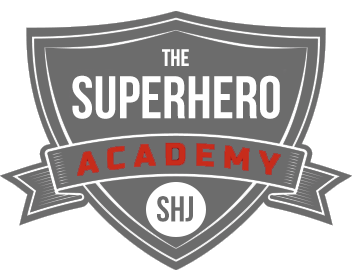 The diet that works for YOU is what we strive to find within The Academy Nutrition Classes (Monks, SuperHumans, Greek Gods, Samurais, Minimalists, Vikings, Spartans, Hunter Gatherers). And now for the moment you’ve all been waiting for. Actually, probably not. You guys probably just want the workout. Well, I’m going to share the research with you regardless. I’m going to be pulling information from Muscle and Strength, Men’s Journal, and two articles Muscle and Fitness put together from interviews with Cena. At first I thought John Cena would follow a pretty typical bodybuilding style routine, but actually after researching it more he incorporates a lot of Olympic Weightlifting movements as well! These are things like snatches, power cleans, clean and jerk and the basic powerlifting compounds as well. I also found that he does anywhere from a four to five day split. 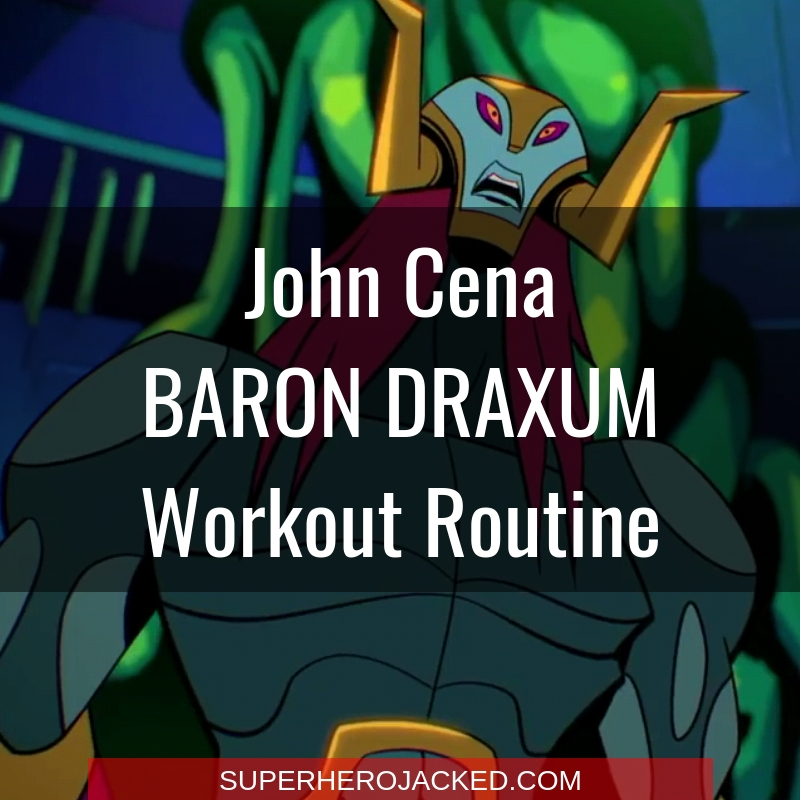 And last but not least, I will warm you to also expect to see front squats and pause bench press in the routine as well, because it was programmed in every single workout that Cena was interviewed and created! 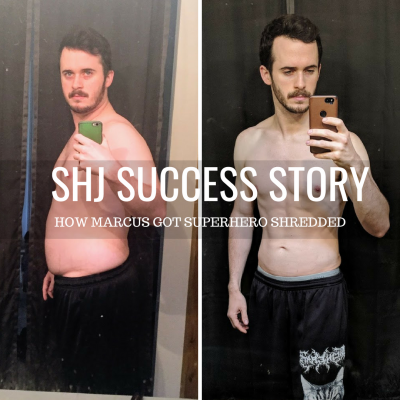 He actually follows a pretty similar plan to our Superhero Programs, more specifically the Bulk and Strength or Body Recomp, so I’ll give you a taste of those when I create this one! Alright, now let’s really do this! John Cena has done four and five day splits, but the average that I saw revolved around training five or more days. So, that’s what we’re going to do.